A friend of mine recently gave me a couple eggplants from her garden. Originally I was going to use them for eggplant parmesan (which I’m still planning on, by the way, it’s one of my absolute favorites! 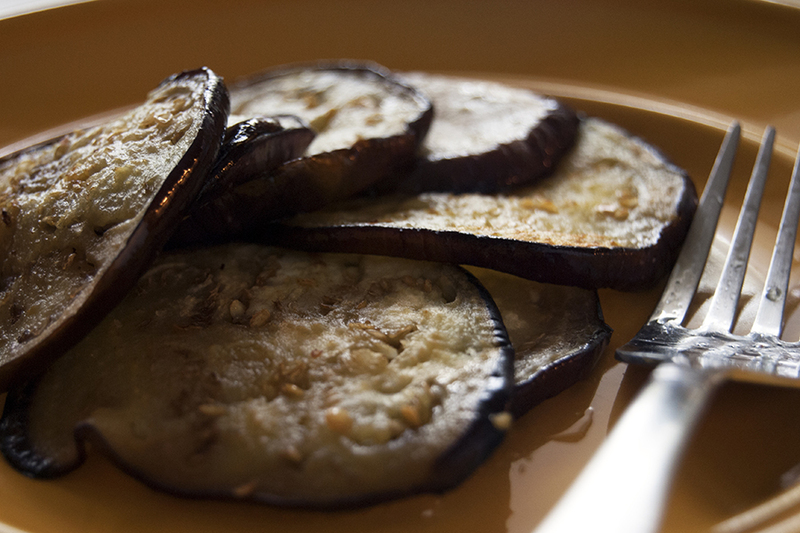 ), but I decided one day that fried eggplant sounded like the perfect treat! It’s so easy! Just slice them up, fry them in some coconut oil with salt and pepper, then they’re ready to enjoy!